Unstable surface work is the best rehab exercise for new Tripawds. A dog’s gait and stance both change after amputation, so anything you can do to help them adjust to life on three legs will help them fully recover quickly. 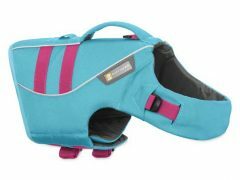 While you can use sofa cushions or a homemade Buja board to help improve your pup’s balance, the Balance Pad from FitPAWS is the perfect tool for daily rehab exercises. The FitPAWS Balance Pad is the perfect beginning balance training tool and provides low balance challenges for dogs recovering from amputation surgery or other injuries. The closed-cell foam construction makes the FitPAWS Balance Pad impervious to water, great for when you need to hose it off between uses or use during under-water therapy. Order All FitPAWS Gear Here. 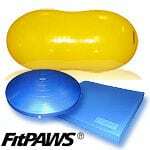 Use the FitPAWS Balance Pad for weight bearing exercises to build strength in remaining limbs. And help improve balance, limb awareness and proprioception with weight shifting and stretches. Adjust the level of balance difficulty by stacking two or more balance pads on top of one another, or place pads side-by-side to customize for use with larger dogs. Unstable surface work helps with proprioception and neurological issues. Weight bearing exercises build strength in remaining limbs. Weight shifting challenges their balance and builds core muscle strength. Review this FitPAWS demonstration video featuring Debbie Gross Saunders, for tips on how to make the most of your Balance Pad and see suggestions for use with three legged dogs below. For another example of using the FitPAWS Balance Pad to help exercise a three legged dog, don’t miss Maggie’s demo video. To strengthen hind limbs, have your dog step up onto pad shifting weight to the rear – strengthens rear legs and improves hind end awareness. To increase difficulty, entice your dog to reach up and down with treats – adds weight to rear legs and strengthens core muscles. 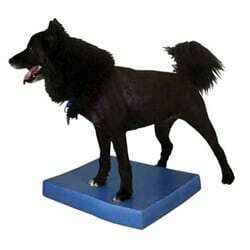 To strengthen forelimbs, place dog standing with rear legs on pad for front weight bearing exercises. 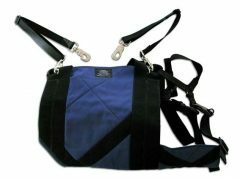 Have dog reach down for treats to shift weight forward, increasing exercise effectiveness. 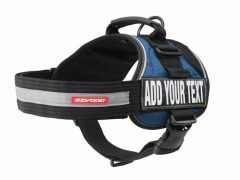 Ensure that your dog stands during exercises, do not allow him to sit. Use multiple Balance Pads or add Balance Discs to create obstacle course for improving balance and hind end awareness. Slowly walk dog across Balance Pads, or back and forth across one – do not allow him to jump over pads. 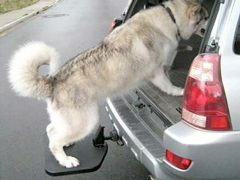 Have dogs stand on Balance Pad(s) and gently push them off balance, forcing them to compensate using core muscle strength. 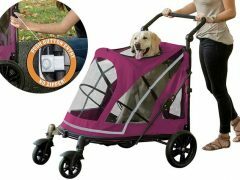 Do not push your dog over, or off the pad, just apply enough force to feel her resistance. Beginning exercise routines should include 3 to 5 repetitions. Allow dog to rest 30 seconds and repeat. Watch for signs of fatigue. If your dog sits down, allow him to rest. Stop all exercises if exhaustion persists. When your dog is ready, use the FitPAWS Peanut for advanced rehab exercises. Always consult with your veterinarian or a vet rehab specialist before beginning any exercise routine. 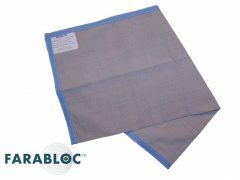 Place the Balance Pad on carpet, or use traction socks or boots to prevent slipping. 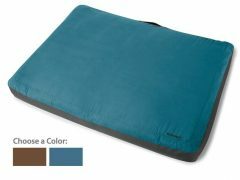 The Balance Pad is waterproof so it can be used outdoors and easily cleaned. And remember, FitPAWS Balance Pads are conditioning tools, not chew toys! Hide pads from your pups when not in use. 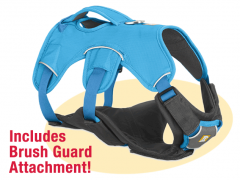 See all recommended FitPAWS canine conditioning equipment for Tripawds! What a great blog!!! Thanks for sharing the video of Debbie’s – I’d never seen that one! I like the ‘obtacle course’ work 🙂 Will have to try that with Maggie and my FitPaws pads and disc.